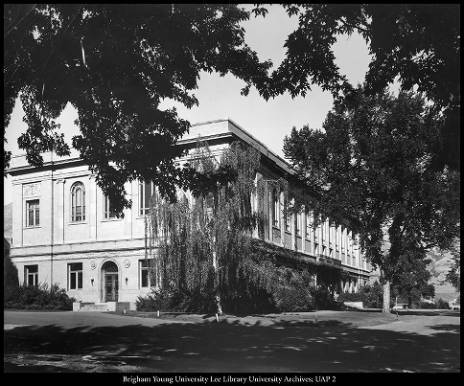 The Harold B. Lee Library began as a small collection of books kept in the office of Karl G. Maeser during his time as Principal of Brigham Young Academy. The small library relied almost exclusively on gifts, donations and free material from the Federal Government. Unfortunately, when the Lewis building burned down in 1884, the fire also destroyed the library collection. By the time the Education Building was completed in 1892, a new library had been formed and a room was provided on the second floor of the new building. 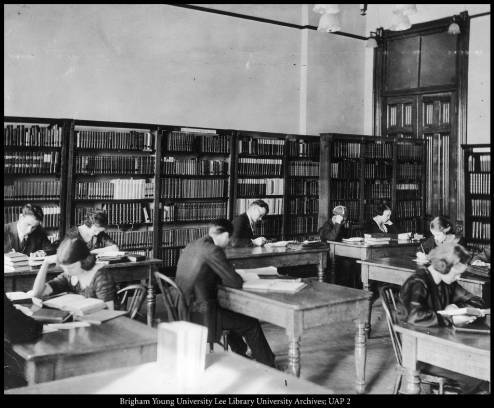 By 1903, Brigham Young Academy had strengthened its curriculum and enrollment had increased, and the name was changed to Brigham Young University. The library continued to grow with the new University, and the physical quarters of the library were expanded to an additional room in 1906 to accommodate the growing collection. Despite the extra space, the library collection continued growing until it filled the third floor and much of the second floor of the Education building. In July 1924, the Alumni Announcers reported that $125,000 had been appropriated to construct a new library building to be erected on University Hill. The new Heber J. Grant Library was subsequently dedicated on October 15, 1925 and 40,000 books and 35,000 pamphlets were moved into their new home. By 1950, the collection had long since outgrown the Heber J. Grant Library, and books were stored in almost all campus buildings. President Wilkinson appointed a faculty committee to survey library needs in January 1953. 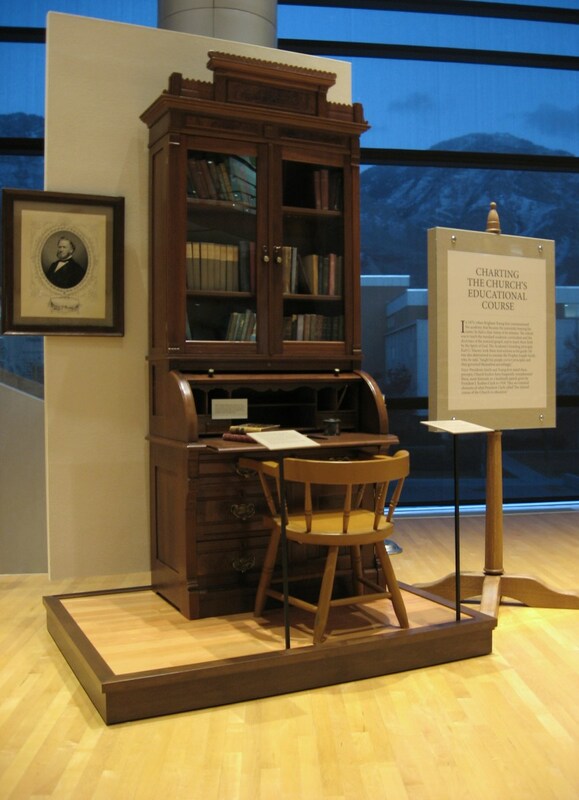 As a result of the study, the J. Reuben Clark Library was constructed to help accommodate the growing collections of the Grant Library. 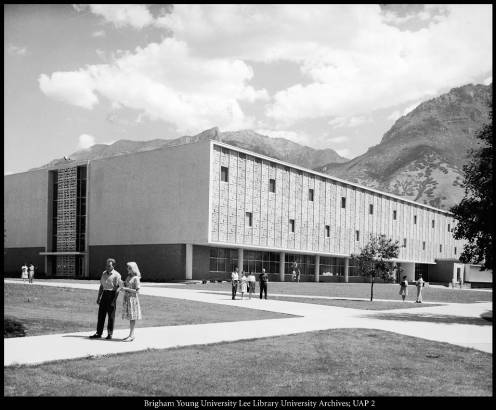 In 1961, 300,000 volumes were moved into the J. Reuben Clark Library although the building was not dedicated until October 10, 1962. 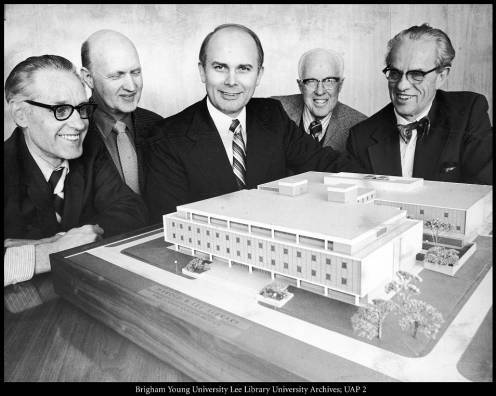 In 1973 the name of the J. Reuben Clark Library was changed to the Harold B. Lee Library, in honor of the former president of the Church of Jesus Christ of Latter-day Saints. In order to keep up with the needs of the academic community and the Church, construction began in 1974 on a library addition of 215,000 square feet. This addition was occupied in the summer of 1976 and dedicated March 15, 1977. As the University continued to grow, so did the library collections and need for additional space. To help fill this need, ground was broken on September 20, 1996 for another addition to the Library. In the four years of construction, roughly 235,000 square feet were added to the library, most of it underground. 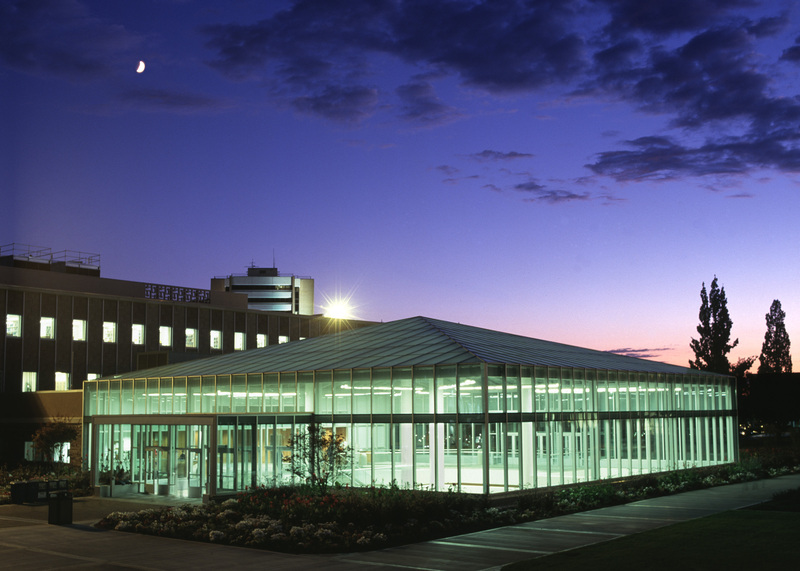 When the new addition was dedicated on November 15, 2000, the library was 665,000 square feet. The current library has about 98 miles of shelving for the more than 6 million items in its various collections. In addition to the increase in collection space, the library also has a seating capacity of 4,600 people and is the equivalent of 2½ football fields from North to South. With over 10,000 patrons entering the building each day, the Harold B. Lee Library has grown significantly from the small collection that began in Principal Maeser’s office. Photo by Mark A. Philbrick/BYU. © 2007 BYU Photo. All rights reserved.